Mammoth Lakes most FAMILY FRIENDLY mountain sporting goods store and equipment rentals provider. In the heart of Mammoth Lakes, Get Outdoors 365 has equipment for all skill levels. 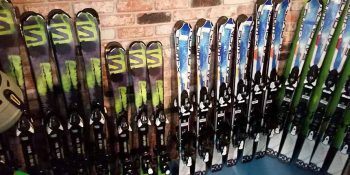 We offer budget friendly pricing on some of the best rental equipment and gear in town for both Summer and Winter. Our store is stocked with gear for the entire family, and you won't feel like you were taken to the cleaners outfitting your family. Get Outdoors 365 was born in the heart of Mammoth Lakes.... so it is natural that we focus on the outdoor activities our beautiful area has to offer. Skiing, Snowboarding, Snowshoeing, Hiking, Biking and of course Jacuzzi'ing and Hot Springs, are just a few of the great activities you can get geared up for here at Get Outdoors 365.